Parliament chief Hans van Soest is pleased that the Dutch government has intervened in Curaçao to enforce fair elections. The Netherlands is once again ‘the colonizer, the oppressor and slave driver.’ Whenever there are criticisms on the disorder on one of the former Netherlands Antilles, you can expect that these hackneyed accusations will be thrown at our feet. But the fact that our government has intervened in Curaçao in order to ensure that fair elections take place, is absolutely right. Those elections were already supposed to take place on April 28, but an interim government, which is being led behind the scenes by former Prime Minister Gerrit Schotte, tried to cancel it. Schotte was previously sentenced to three years in prison and cannot be involved in politics for five years. According to the judge, “to protect democracy on the island.” Schotte has probably been bribed by Francesco Corallo, of Sicilian origin who is considered a linchpin of the Gambling mob. But after Schotte’s conviction his party remained active in parliament. There was an administrative chaos when two MPs from the former ruling parties suddenly defected to the group led by Schotte, which caused the incumbent government to lose its majority. 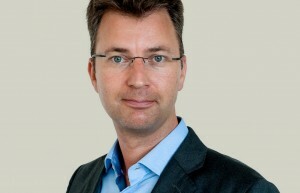 Outgoing Prime Koeiman called for snap elections, but Schotte’s party formed an interim government and tried to keep the power in their hands by cancelling the election. It seems like a plot of a bad mafia movie. If it was not about the future of tens of thousands of Curaçaoans, it would be laughable. Although Curaçao is an independent country, it was agreed in the Kingdom Statute that the Netherlands may intervene if ‘freedom, legal certainty and good governance are at risk.’ That is now clearly the case. I just hope that the population of the island is not led by agitators who can only scold the Netherlands. I also hope the people choose normal representatives instead of a bunch of straw men.